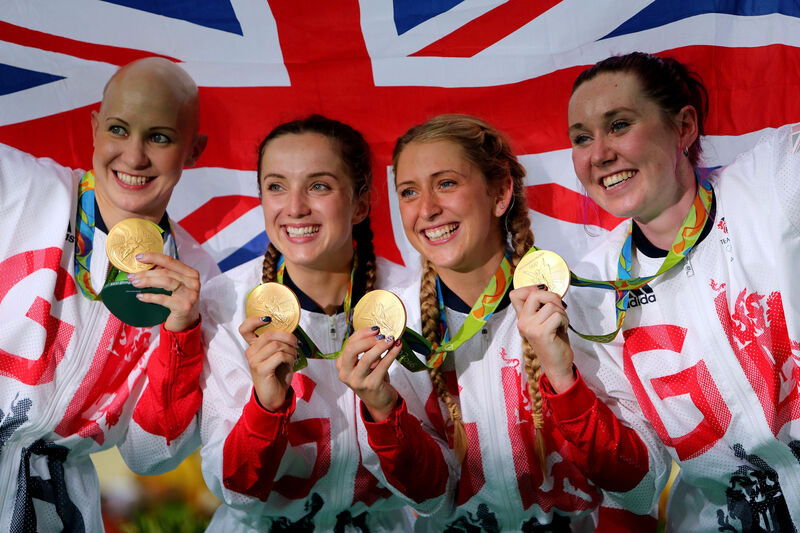 Harlow's Laura Trott became the first British female to win three Olympic gold medals as Team GB's women's team pursuit outfit broke the world record yet again to retain their Olympic title at Rio 2016. Along with Joanna Rowsell Shand, Katie Archibald and Elinor Barker knocked almost two seconds off the new best time they set in the morning session to beat the USA in the final. The time of 4.10.236 minutes was enough to finish in front of the Americans by over two seconds and gave Trott her third Olympic title after omnium gold at London 2012 as well as success in the team pursuit. Trott and Rowsell Shand are two-thirds of the squad that rode to gold at London 2012 four years ago and since then the team pursuit has seen a fourth rider added to the event. The gold medal was Team GB's ninth of the Games so far and third in successive nights in the velodrome while Rebecca James made it a doubly special afternoon with silver in the women's keirin. Team GB Rio 2016 medal tally: Gold 9. Silver: 11. Bronze: 6. Total: 26. "To come out and do that again - Paul Manning [coach] said to us four years ago that 4.10.00 would win the Olympics and we were doing 4.21.00 at that time - that's a second a lap. We broke the world record in training, doing a 4.13.00 in our holding camp in Newport. We knew a record was on the cards in the qualifier. It felt surreal in the qualifier, but in the second round it just felt easy. I didn't believe we were going to do it. I've never been in a team that feels so seamless. You can tell that everyone was giving 100 per cent to get to the finish line first and I could not be prouder right now."